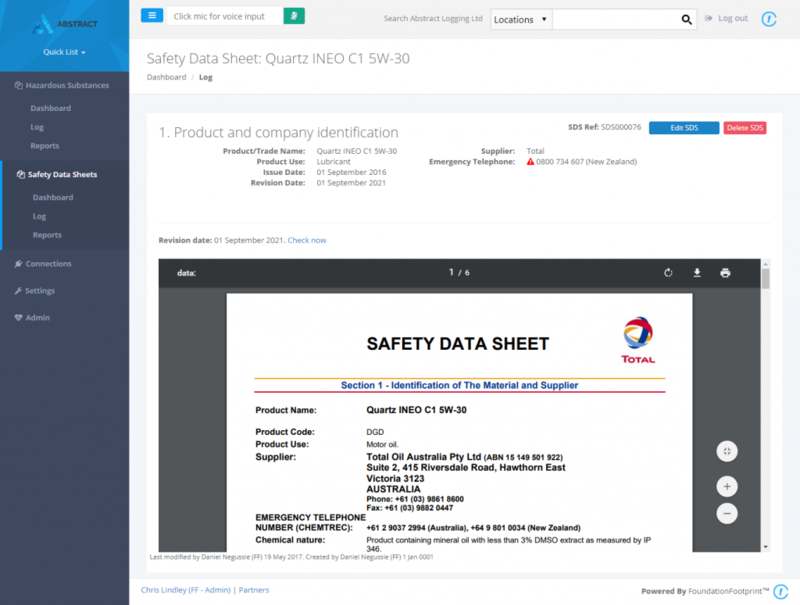 Instant access to safety data sheets and your hazardous substance inventory. BraveGen makes hazardous substance management simple and has been designed with the end user in mind. The user-friendly interface makes managing, updating and accessing your chemical inventory, safety data sheets and your disposal compliance requirements easy. It also leverages the technology built into your devices. People are busy, their hands are full, and often safety data sheets (SDS or MSDS) are stored on network drives that are near on impossible to access within the time period required by law. Now you can find a safety data sheet, chemical inventory and the required personal protective equipment (PPE) by just speaking or scanning a QR code on a cabinet, machine or entrance. Your safety data sheets are automatically monitored to ensure they are up to date and many are already available in the BraveGen SDS library. BraveGen is ready for you. With BraveGen, you can drive efficiency, ensure compliance, make better decisions based on real-time insights, and keep up with business and regulatory changes from a single system. BraveGen helps you build great teams, engage your workforce, discover opportunities for growth, and become a strategic partner to your organization with an intuitive, easy-to-use system. Lead your organization’s digital transformation with BraveGen — a system that adapts to business changes while maintaining the utmost security and privacy protections without costly and disruptive upgrades.